We are putting together a Back To School Gift Guide. The gift guide starts on July 21st and ends September 10th. We want to include your products! We have 14 bloggers involved in the gift guide! WOW is that awesome? You get 14 for the price of 1. 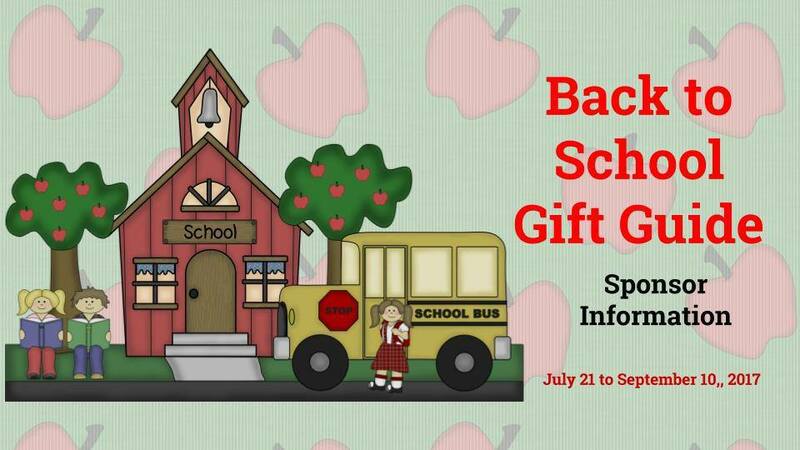 We are ready to get started on promoting your products in our Back To School Gift Guide. We will all be promoting your products! You can also sign up for the Holiday Gift Guide because we are offering the same packages for both gift guides. Watch the slideshow below for more details. Click on the “Get Started” button below to sign up. Please contact brandi@easterbabestheory.com if you have any questions.